Oil painting is painting with oil-based paints. These are paints made with pigments and drying oils. Common oils used as drying oils are linseed oil, walnut oil, safflower oil and poppy seed oil. They are very viscous in texture, which is why they are used in conjunction with thinners to get them to the desired consistency to paint with. To thin out oil paint you would use either turpentine or solvent, so oil painting is something that is better for adults or certainly older children. However, oil paints can be a very versatile medium to paint with because essentially you are mixing the paint yourself. You can make the paint whatever texture you like, often combining different viscosity's in one work of art to create your desired effect. You can use it to add texture. Unlike watercolour, oil paints can be layered to create a 3D effect and layered on top of one another. Although, there is a basic rule of oil paint application is 'fat over lean.' This means that each layer should contain more oil, so your paint gets thicker each time. If each additional layer contains less oil, the final painting will crack and peel. Traditionally, oil paint was transferred to the painting surface using paintbrushes, but there are other methods, including using palette knives and rags. Another beauty of oil paint is that it remains wet for longer, which means the artist can change the colour, texture or form of the figure. At times, the painter might even remove an entire layer of paint and begin anew. 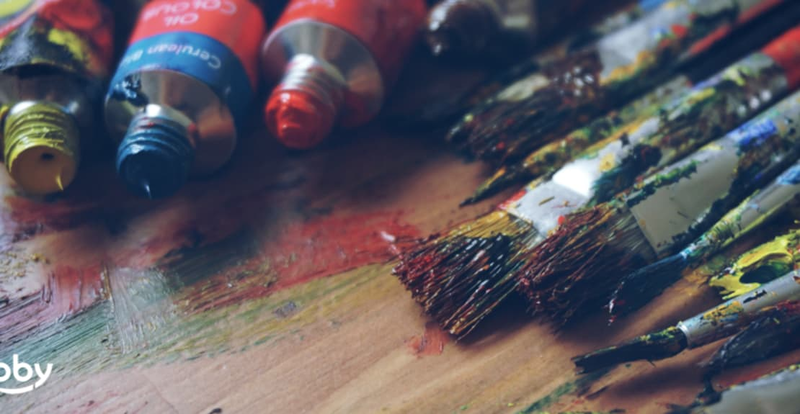 Oil paint is so versatile that, in some cases, it takes six months to a year for the whole painting to dry enough to be varnished, meaning that with a rag and some turpentine, the painting can often be altered for that long. This can be dangerous for some artists, especially those with severe creative doubt.